This page gives some simple laying patterns for patio paving and driveway block paving. You may prefer a random layout. We can help you with this, or you can plan on graph paper or use the Bradstone paving planner. Stack bond, half bond, third bond and random linear patterns work well with our porcelain paving range. These patterns can also create a more contemporary look when using natural stone, especially those with a crisp, sawn edge. Tudor and Dutch bond are great for a traditional look and work well with mixed sizes of natural stone. 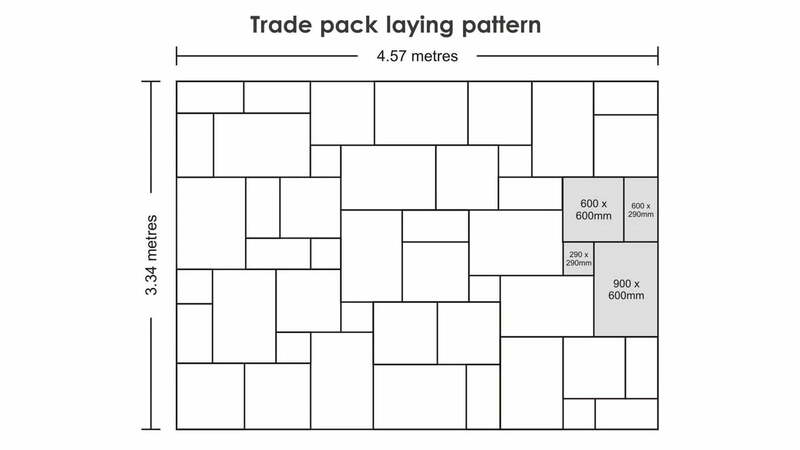 Our Trade Pack laying pattern is suitable for mixed sized patio packs such as Kebur Trade Packs or Bradstone Natural Sandstone paving.